You probably are considering KitchenAid and Bosch for a better dishwasher. Both have changed recently. KitchenAid is now quieter with their new ProScrub feature and Bosch has added their Benchmark series with new features. Both are excellent choices so it's a tough decision to make. We will compare both for you. But first, let's talk about each company. KitchenAid is an affordable luxury brand and for years has been a well-known brand in the consumer market. 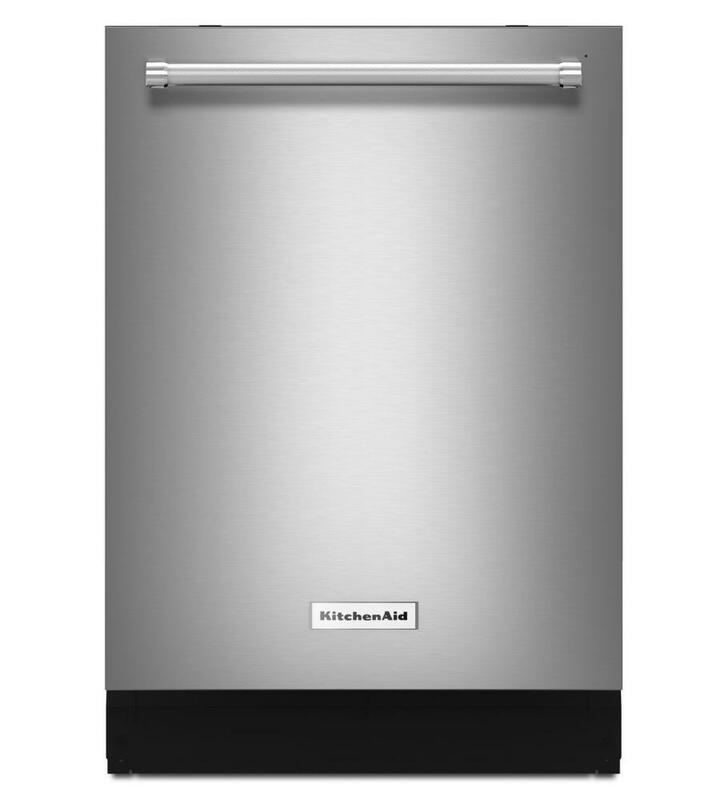 KitchenAid produces a solid, reliable, American-style dishwasher with a variety of features at a range of prices. At least they did. Recently, they removed their internal soft food disposer for a removable filter system much like Bosch. Bosch Home Appliances is part of BSH, Bosch and Siemens Home Appliance Group, based in Munich, Germany. As part of the third largest appliance manufacturer in the world, Bosch has been selling high-performance German-engineered appliances in the United States since 1991. Their dishwasher factory in North Carolina is the largest appliance factory in the world. They are most well known in the United States for the quietness of their dishwashers under the Bosch, Benchmark, and Thermador lines. MyWay™ gives you the industry's largest 3rd rack loading capacity. The unique v-shape of the rack provides the perfect space for large utensils and ramekins in the center while providing space for wine glasses on the sides on the middle rack. EasyGlide™ rack provides a smooth glide for easier loading & unloading. 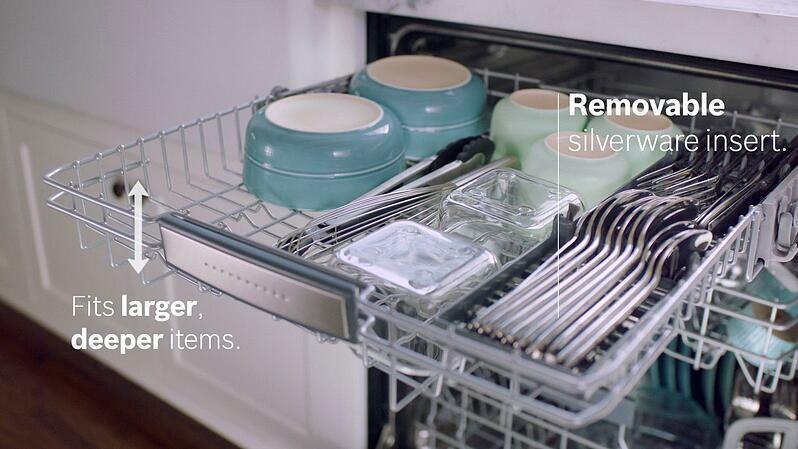 Bosch dishwashers are so quiet, you may forget they're on. InfoLight® projects a red light onto the floor during the wash cycle that turns off when the dishes are ready. By operating at a higher temperature, the sanitize option can be added to cycles to achieve the National Sanitation Foundation (NSF®) standards of cleanliness, eliminating 99.9% of bacteria and enhancing your drying results as well. The AquaStop® system contains leaks through a precisely engineered tub and sensor system that works with the solid molded base. If a leak has occurred, it shuts down operation and automatically pumps out water to avoid contact with the floor. EcoSense automatically adjusts the cycle length, temperature, and water based on the amount of food soil and incoming water temperature. AquaSensor is an optical measuring device which measures the cleanliness of the rinse water. (Upper and Lower Racks) creates a smooth, premium feeling when pulling out the upper and lower racks, particularly with heavy loads. Provides exceptional cleaning and drying, helping make KitchenAid® the best performing dishwasher brand 1 without rinse aid. Both dishwashers are very popular models and contain many similar features including the same quietness at 39 DB but a few of them are very different. The first feature that stands out is the drying method. The KitchenAid model has an element-heated dry cycle, a coil at the bottom of the dishwasher, designed to heat the air inside the dishwasher to dry the dishes. While the Bosch has a passive dry system, which use condensation to dry the dishes, the hot water from the cycle will stick to the stainless-steel sides of the dishwasher. The dishwasher does not use any energy to heat the air in the dishwasher to dry dishes. KitchenAid and Bosch both have third racks. 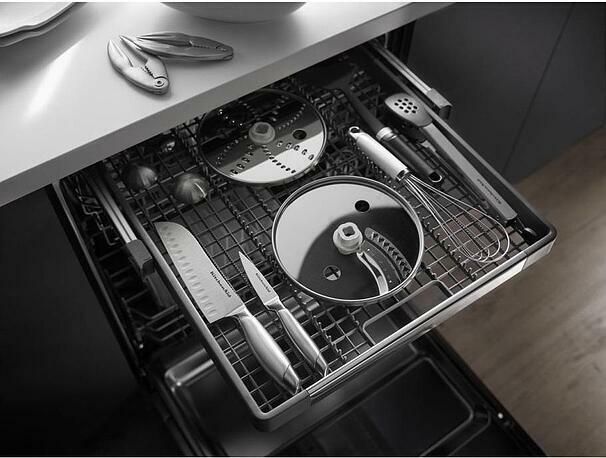 The third rack was designed in most dishwashers to hold cutlery foremost but now is being used to hold larger items such as whisks, large serving spoons, and grilling utensils. Third racks allow you to hold more in the dishwasher. It is also more hygienic to grab silverware from the bottom than the top. Bosch has gone a step further by making the Myway rack which can hold shallow bowls and cups. Kitchenaid has ProScrub option- ProScrub is 40 targeted spray jets that when a soiled baking dish or tray is placed in front of it helps remove messes without soaking. Both are great dishwashers. Bosch is statistically more reliable while KitchenAid is more feature oriented. However, as crazy as this seems, when you buy the dishwasher can become just as important. The rebates seesaw, especially KitchenAid, from $749-999. If the prices are close, Bosch may be better. However, KitchenAid is a great buy at $749. 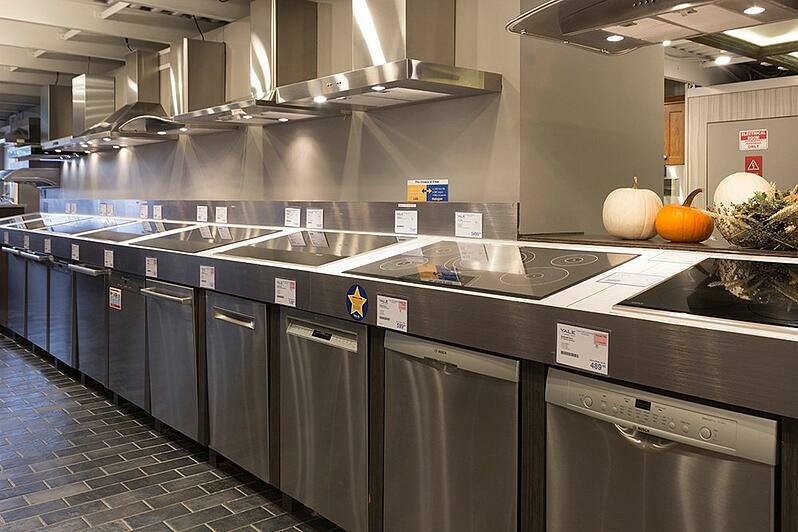 Want to learn more about Bosch, Miele, KitchenAid, and other dishwashers? Download the Yale Dishwasher Buyers Guide with features, specs, and inside buying tips to all the major brands. Over 245,000 people have downloaded a Yale Guide.